Before heading to the Roma's Hospitality Centre for the wedding reception took a few funny portraits of the bride to match those of the groom. In essence, it is the same idea: I took three portraits of the bride impersonating the three wise monkeys. 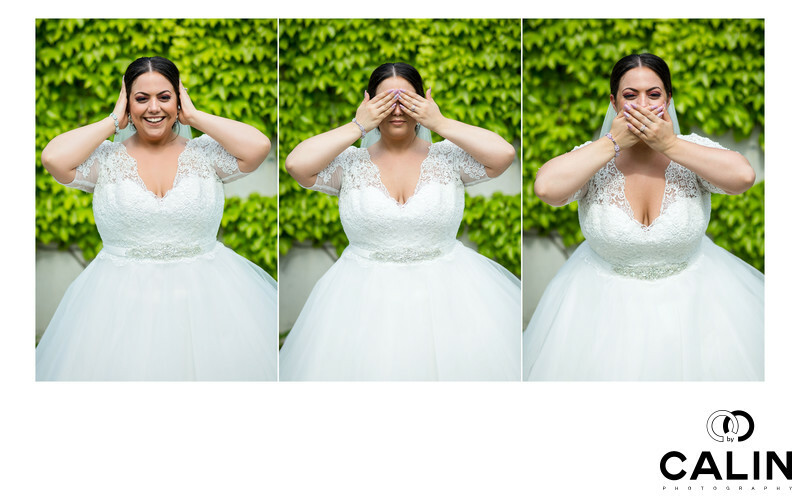 The image on the left pictures the bride covering her ears to hear no evil. The shot in the middle shows a beautiful right covering her eyes to see no evil. Finally, in the image on the right, the bride covered her mouth to speak no evil. The three portraits match perfectly those of the groom in the previous album spread.